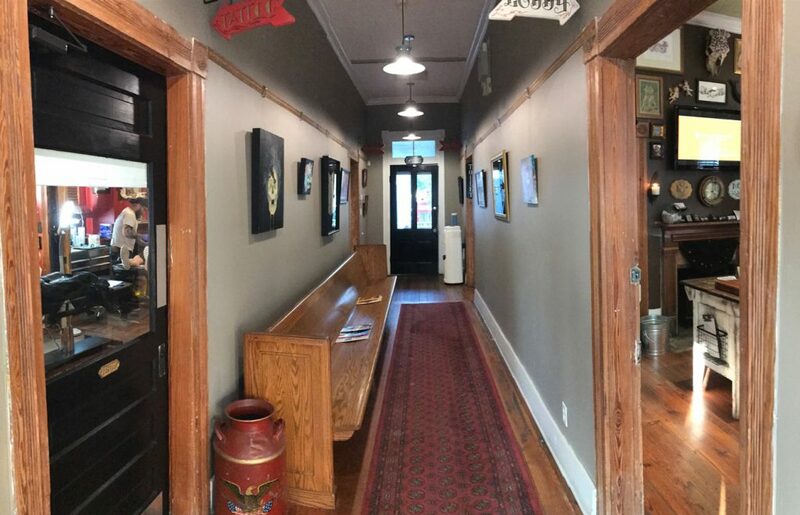 Black Orchid Gallery is a small progressive gallery housed in the corridor of our tattoo studio, located in a historic Victorian home in the Starland Arts District. We are a gratis gallery and do not take a commission on any sales. We feature bi-monthly exhibits and cater to both local and national artists of all genres. Receptions are held every first Friday of the month from 6-9pm in participation with the Art March Savannah artmarchsavannah.com/. Exhibits will hang from the 1st of the month until the last day. We are open from 12-8pm 7 days a week. For more gallery information and availability please message us through the contact page on the site. The gallery has space available. To submit artwork for showing, general gallery questions or to schedule a time to view the space please email blackorchidtattoo@comcast.net. "99 Roaches and a Bug Ain't One"